Research suggests an early start is the key to a successful intervention for children diagnosed with an autism spectrum disorder. 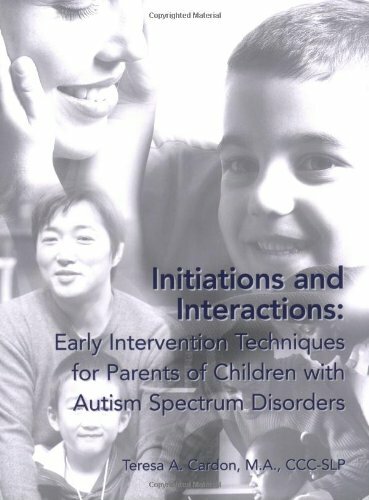 For most early intervention programs to be effective, they must involve a child's primary caregivers, especially when it comes to such an all-pervasive area as communication. Teresa Cardon, a speech language pathologist, discusses the importance of creating a communication environment in the home. Simple everyday tools include deliberate use of books, toys, visual schedules, and labeling, among others. The focus is on parents and how they can create initiations and interactions with their children. Emphasizes the use of visual supports. Parents must be partners with professionals in early intervention. Social communication. Language development.